Bloggers and online journalists play such an important and often understated role in the publicity machine that promotes and thereby sells designer products. 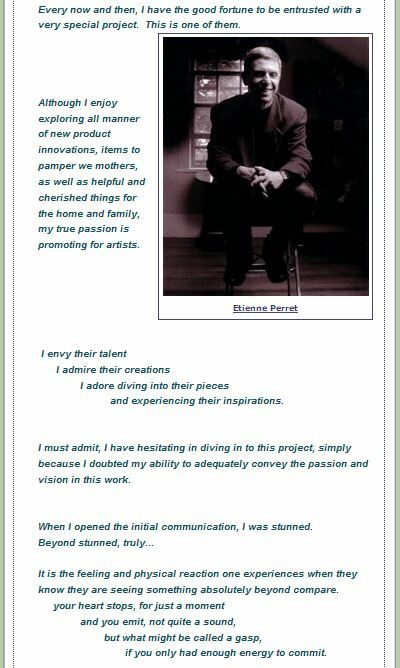 Every time a writer has the good sense to track down Etienne’s designs and share them with their readers, we are happy to go out of the way in assisting their cause. It was one of these chance discoveries that led our new friend, the editor of the That’s What She Said blog to Etienne’s work and we couldn’t be happier with the results. “That’s What She Said” is a neat blog covering topics of interest and products for mothers and all women for that matter…No better place to feature Etienne’s designs! 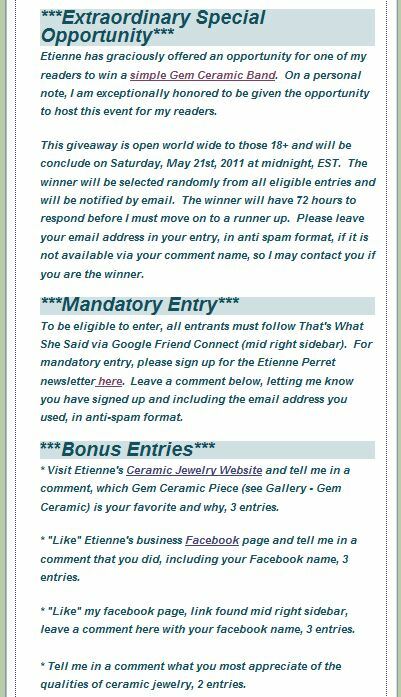 One cool thing that the That’s What She Said blog does is offer giveaways for the products they review, so when asked to donate something for a lucky reader, Etienne was enthusiastic to offer one of his stylish new Gem Ceramic rings. Check out the website to learn more about how that lucky winner could be you!